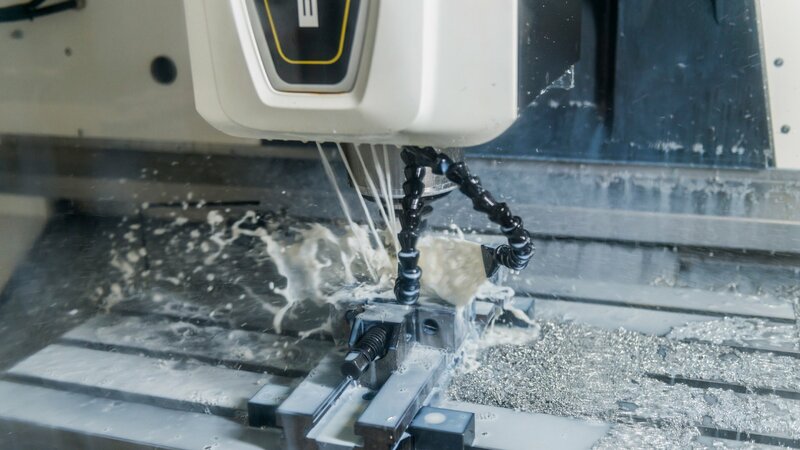 Machining is the manufacturing process in which a piece of raw material is cut into a desired final shape and size by a controlled material-removal machine. By constantly upgrading and renewing its technology infrastructure, VETA is in a position to more effectively respond to the market needs for precision machining processing. 9 machining stations are in operation. VETA’S engineers, skilled in engineering and machining operations, recommend the optimal design and financial / technical proposal for the customer’s project. Thus, customers are supported in their drawing needs from the initial drawing, all the way to the final component. All machine shop machinery is connected over data network. HITACHI SEIKI VS50 | 3-axis high speed vertical machining centre, with travel distances: 1000 Χ 510 Χ 510 mm Spindle speed: 20.000 rpm, ideal for die & high precision components machining. MORI SEIKI NV4000 DCG |4-axis high speed vertical machining centre, with travel distances: 600 Χ 400 Χ 400 mm. Spindle speed: 20.000 rpm, ideal for multifaceted die & high precision components machining. MORI SEIKI NV5000 α1/50 | 3-axis vertical machining centre, with travel distances: 1000 Χ 510 Χ 500 mm. Spindle speed: 8.000 rpm ideal for heavy duty, high - precision machining. MORI SEIKI DURACENTER 5 | Two 3-axis vertical machining centres, with travel distances: 800 Χ 410 Χ 500 mm. Spindle speed: 12.000 rpm suitable for high – precision components and dies. CINCINNATI FTV 1050-3700 | 4-axis vertical machining centre, with travel distances: 3700 Χ 1050 Χ 800 mm. Spindle speed: 20.000 rpm ideal for multi-faceted machining of large dies & heavy components. Precise mating and tolerances is the company's primary concern in an effort to create high-caliber machinery. Thus the company turned to the procurement of multi-axial lathes with integrated diameter and length measurement systems. MORI SEIKI SL 2500 SY | 6- axis lathe with 2 spindles, rotating tools, controlled C-axis and additional Υ- axis Maximum work-piece dimensions: ⌀200 and 650 mm in length. MORI SEIKI ΝL 2500 | 3-axis CNC lathe with 1 spindle, rotating tools and controlled C-axis. Maximum work-piece dimensions: ⌀300 and 1250 mm in length.